A custody battle has been raging over the large mammal. The question at hand: Where should a 7,000 pound elephant live? 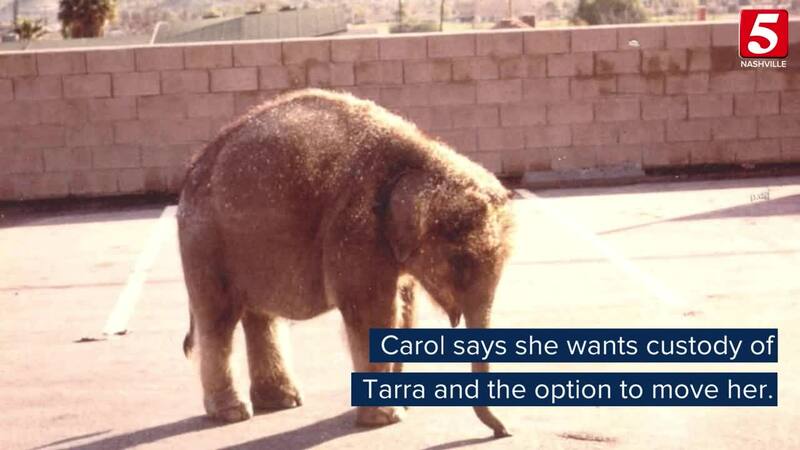 The legal issue pits the Elephant Sanctuary in Hohenwald against the woman who raised Tarra the elephant since she was a baby. A custody battle has been raging over the large mammal. The question at hand: Where should a 7,000-pound elephant live? 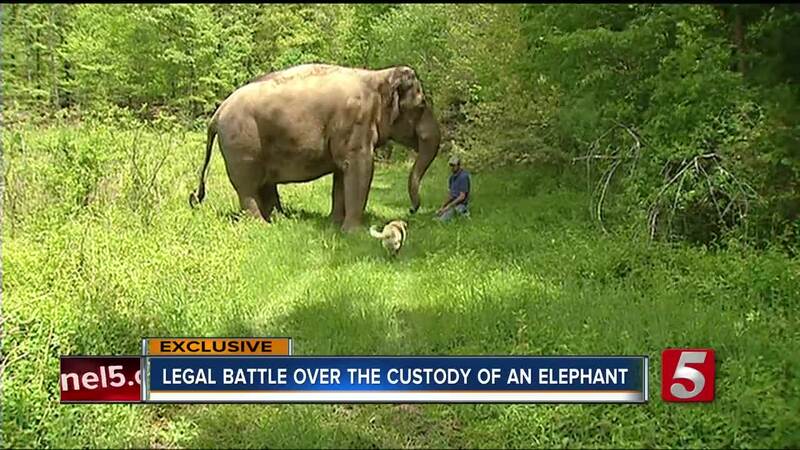 The legal issue pits an elephant sanctuary in Hohenwald, Tenn. against the woman who raised Tarra the elephant since she was a baby. The case went to trial just this week and ended with a hung jury, so the fate of Tarra -- perhaps the best known of the Sanctuary's elephants -- remains in limbo. Tarra is an Asian elephant. Many remember the story from a decade ago of Tarra and her loyal canine companion, Bella. She was the first elephant at the Sanctuary in Hohenwald, brought there by co-founder Carol Buckley in 1995. Years earlier, Buckley took ownership of Tarra from a businessman in California. "It was an instantaneous attraction to each other. She needed a mother. She was a baby, and I was happy to fill that role," Buckley said. This led to Buckley starting the sanctuary, but after several years, Buckley was ousted. She left Tarra there knowing it was the best place for her at the time. Now, Buckley operates a new sanctuary in Georgia. She said she never surrendered Tarra, has worried about her welfare in Hohenwald, and is suing to get her back. "The lawsuit is very simple. It says I own Tarra," said Buckley. Legal expert Jim Todd said this is the first-of-its-type case in Tennessee. Todd said there's the custody issue, but he added there's also the question of whether Buckley abandoned Tarra. She said no and added her concern has always been what's best for the elephant. "I'm going to put her wherever it is best. If Georgia is better for her, I would move her to Georgia," Buckley said. "If Tennessee is better, I would leave her in Tennessee." The two-day trial this week in Lewis County ended with a hung jury. Ten jurors voted to return Tarra to Buckley with two others saying no. A retrial likely won't happen until 2019. Asian elephants typically have a lifespan of 48 years. Tarra is 44 years old. The Elephant Sanctuary issued the following statement saying in part, "We remain fully committed and exist to provide home, herd and individualized lifetime care to all residents of the Sanctuary, as we have done for the past 23 years."